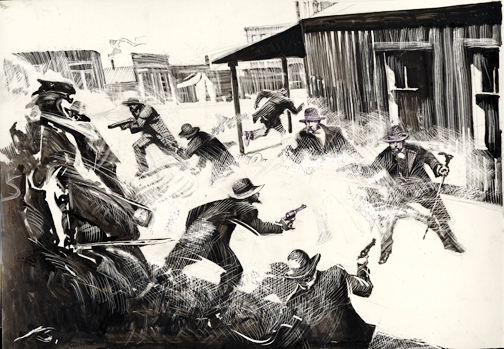 It wasn’t the Showdown at the OK Corral, but it wasn’t very pleasant either. The moment had come to actually exchange the car I was returning because it was not (ahem!) in the condition described when I bought it. The emails with the used car dealer on the actual car return had been terse. I had written a long message quoting the findings of the Honda mechanic when I took the car in for what I thought was a minor issue, and I had described the steps the DMV Investigation Unit had subsequently recommended and that I was prepared to take. I had gotten back a one sentence offer to accept return the car for the full amount paid. I had written back a one sentence acceptance. The dealer had admitted nothing. I had accused him of nothing. I had stayed factual: this is what has been found by a certified mechanic. This is what I have in writing from you. These are the actions I am going to take with the DMV and the Sacramento District Attorney. Since the car was not deemed by the Honda mechanic to be safely drivable without the recommended $4000 worth of repairs, I’d had it towed the 75 miles back. I was not pleased when I arrived because the check awaiting me was not, as had been promised, a cashier’s check. What a shock! The moment came when we were at a standoff. I wanted to deposit the check in the bank it had been written on, a few blocks away, before handing off the keys to see if the check was actually good. The salesman on duty demanded the keys first in order to “check the condition of the car” or, he said, he would stop payment on the check. The whole car return process could have broken down at this point. Many sarcastic responses about “the condition of the car” came to mind. It can be satisfying to let these juicy ripostes bounce around your mind, but it’s better not to let them fall off your tongue. Instead, I stayed focus on what mattered to me and the choices that were actually available. I also stayed connected to the motivation of other side. I wanted my money back and to avoid a huge amount of hassle. The used car dealer didn’t want the DMV and the DA breathing down his neck. I simply said, “The car is being returned in exactly the same condition in which I received it.” I may even have managed a straight face. A few minutes later we were on our way to the bank where, yes, the check was accepted for deposit, and the funds transferred to my account. Today I’ll be off to buy a car again, for the third time in four months. In a situation in which distrust is mutual, be careful not to escalate. People often lose touch with what’s in their best interest because the impulse to vent in the moment takes over. Stay connected to what matters and choose the strategies most likely to help you get there. After the bank visit, and while I was signing the paperwork returning the car, the salesman who had demanded to inspect it came over and apologized for having been so hard on me. I paused and looked up at him to focus on this unexpected but very welcome moment of felt human connection. I told him I really appreciated his saying that. We both smiled. Are these the tiny steps by which world peace is made? I like to think so. With You on the Path. Question: Where do you need to focus on what wants to fall off your tongue but would be better left unsaid this week?